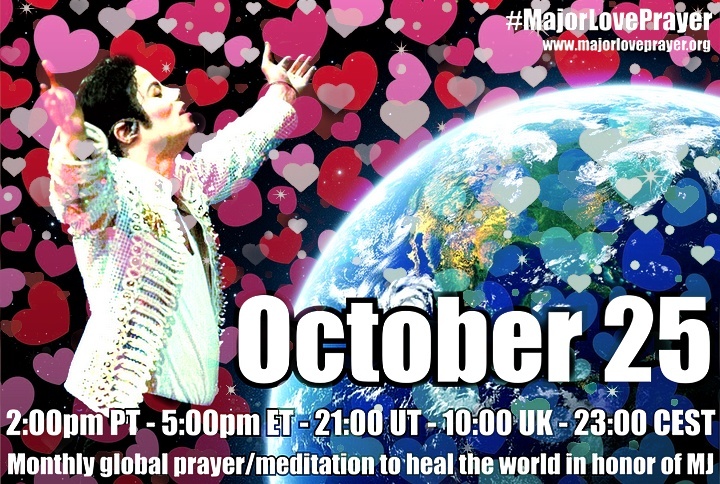 Tuesday, October 25th ~ We're Sending Out a Major Love to Heal the World! 3) Next, LET YOURSELF FEEL LOVE FOR ALL THE WORLD. send this MAJOR LOVE to all the world! You may visualize waves of beautiful light moving across each continent, drops of love raining down from above, or just a beautiful energy embracing the planet in PEACE. May this comfort the hurting, confused, sick or grieving. Send your love and well wishes to EVERYONE and EVERYTHING, without exception. You may focus on particular areas with great need as you go. With this MAJOR LOVE, all are HEALED. All are in PEACE. All are LOVED. Yes, we've had a time change due to daylight saving commencing here in South Australia. For us MLP time is now 7.30 am on 26th. I'll be there.